Travel with us as we visit the sandy shoals and craggy cliffs of America's seafaring monuments – Lighthouses. These beacons of playing an important role in the growth of our coastal commerce, wartime history, and maritime legend. From the weathered outcropping that is Pemaquid Point, Maine to the breathtaking bluffs of Point Arena, California this is a chapter of America's glorious history. Relive ghost stories, shipwrecks, and heroic deeds. 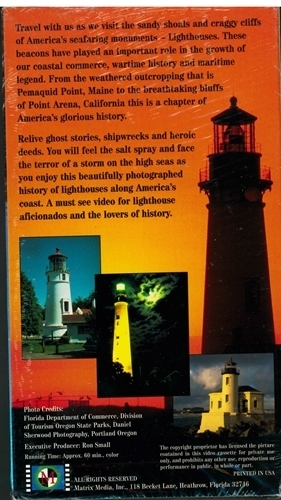 You will feel the salt spray and phase of the terror of a storm on the high seas as you enjoy this beautifully photographed history of lighthouses along America's coasts. 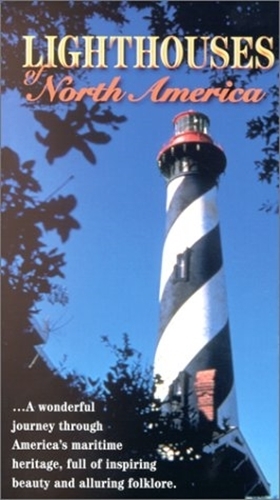 A must see the video for lighthouse aficionados and lovers of history. … A wonderful journey through America's maritime heritage, full of inspiring beauty and alluring folklore.